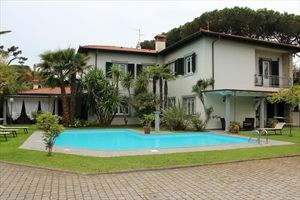 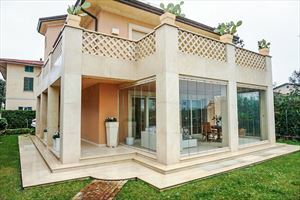 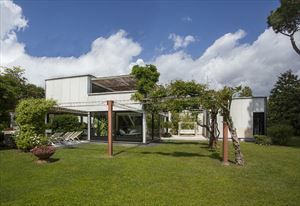 Detached villa in the center of Forte dei Marmi and 800 meters away from the sea. 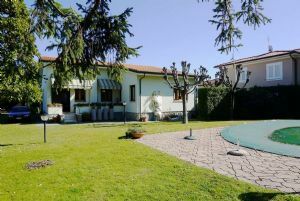 The property is located in a central area close to shops. 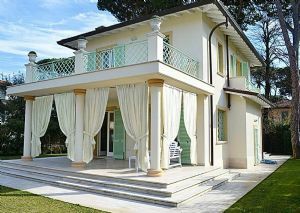 First floor: 1 double bedroom with bathroom, closet, 1 single, 1 room with double bed with bathroom. 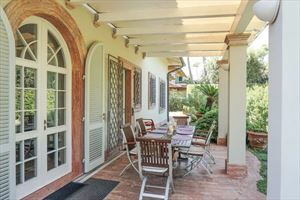 Surrounded by gardens on three sides by about 350 square meters with outdoor dining table. 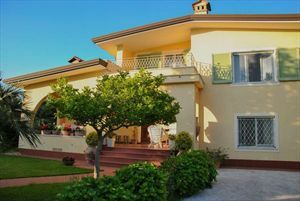 New furniture, air conditioning, alarm system, automatic gate, parking and free internet.